The European Society of Cardiology and the International Stereoscopic Union have signed up to EIBTM's two-day Association Programme. The association programme kicks off on Tuesday 27 November 2012 at EIBTM in Barcelona. 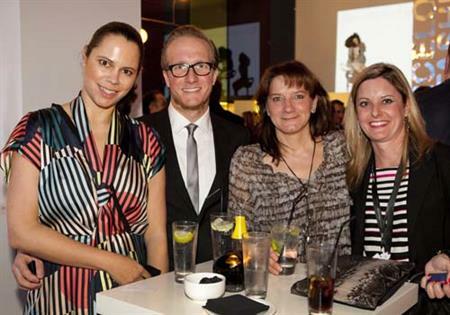 Here AEP talks to Erica Keogan, Education Content Manager of IBTM Event Portfolio. What topics will be covered this year? We have created a varied programme with topics ranging from the power of partnerships to the importance of certification, how to implement new strategies that retain membership, delivering maximum value, how to strategically use content, technology and social networks to extend the reach of your annual meeting and discussing the potential and the role of events in an association. The content will be presented via debates, case studies, and a keynote. We are really pleased to have ‘The Great Association debate’, which is back by popular demand – this has always been a popular session where association delegates really get the chance to discuss topics that matter to them. What networking opportunities will there be? We understand the need for the association planners to be able to network with each other and the programme always has a strong networking element with events which will include an opening buffet lunch reception, networking breakfast and of course the ever popular ICCA/EIBTM personal Connections networking function which allows associations the opportunity to network with destinations in a relaxed atmosphere. Every year we look at making the EIBTM Association programme highly topical and relevant. We research the industry, understanding the key discussion points, issues and challenges allowing us to develop a high quality programme that meets the needs of our attendees. We are very fortunate to have a global insight into the meetings industry through our portfolio of events, which spans across five continents. This really helps us get under the skin of the international association. EIBTM 2012 takes place 27–29 November, Barcelona.